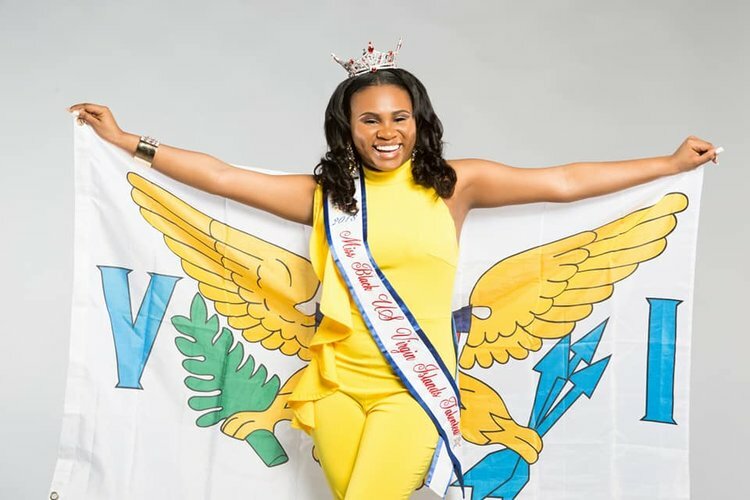 WASHINGTON — The Miss Black USA Organization crowned St. Thomas native Akira Pickering as Miss Black USA Talented Teen 2018 at TheARC Theater in Washington, D.C. The event, which took place on Sunday, July 1, featured young women across the U.S. and the Virgin Islands. Pickering is a 16-year-old high school junior temporarily relocated to Fayetteville, North Carolina after experiencing the devastation and destruction of Hurricanes Irma and Maria. Despite being born with temporary stridor, a medical condition where the inside of the throat is not fully formed and the ability to speak and eat is impaired, Akira wowed the Judges with a winning talent performance of “Stand Up for Love” by Destiny’s Child. Contestants competed in Talent, Athletic Wear, Evening Gown, and On Stage Interview. Angela Pierre-Louis crowned Akira her successor at the conclusion of the annual event. For the first time ever, MISS BLACK USA TALENTED TEEN USA® took place in conjunction with MS. BLACK USA, the first national Mis. Black USA pageant for women of color ages 28 to 35 years. A part of her prize package, the new Miss Black USA Talented Teen receives a $2,500 scholarship for continued education; travel opportunities representing The Miss Black USA Organization, sponsors, and charitable partners; and a personal appearance wardrobe allowance. For crowning moment video of Akira, please visit HERE. Find MISS BLACK TALENTED TEEN USA® on Facebook and follow on Instagram.